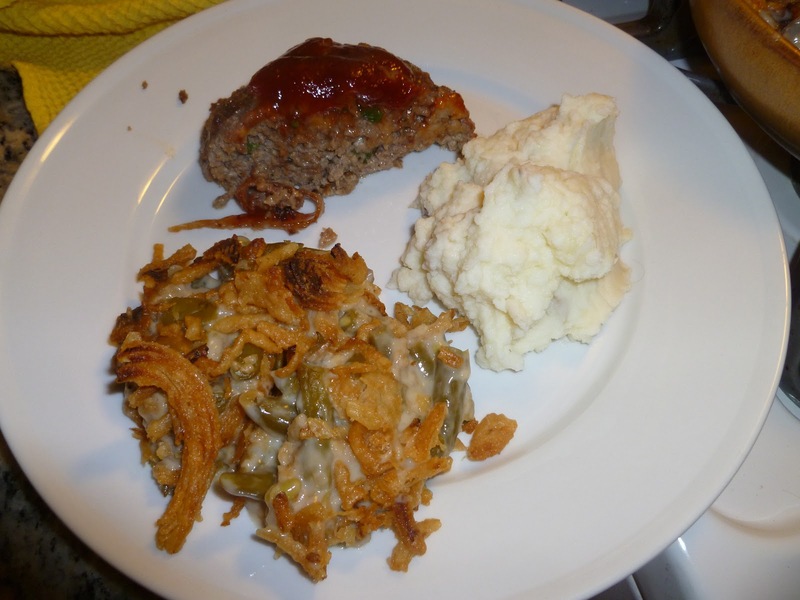 Comfort food - meatloaf, green bean casserole and mashed potatoes. Also known as food for a man's man or a woman who apparently doesn't care about her waist line! I mean I do care, but its so hard to practice self control this time of the year when food and booze abound...so I'm not telling you this was the healthiest dinner ever, because clearly it wasn't, but I did lighten up the mashed potatoes by using Greek yogurt in place of sour cream, and the hubs said it was the best dinner since Thanksgiving. I took that as a huge compliment, but now I realize Thanksgiving was only 2 weeks ago not so sure...but still I'll take it. The meatloaf was: Pioneer Woman's Favorite meatloaf and I used Campbell's green bean casserole recipe so with those 2 things being sure beats for delicious I was willing to take a chance with the potatoes and I am glad I did. Recipe after the jump! Cut potatoes into cubes, cover with room temp water in a pot, bring to a boil and gently boil about 25 minutes or until potatoes are fork tender. Drain potatoes and with a mixer or your really strong arm mash and mixed with all other ingredients. Enjoy!